Cakes can be beautifully decorated in a number of ways, with anything from carefully piped swirls and curlicues of icing to gum paste butterflies or fresh flowers. 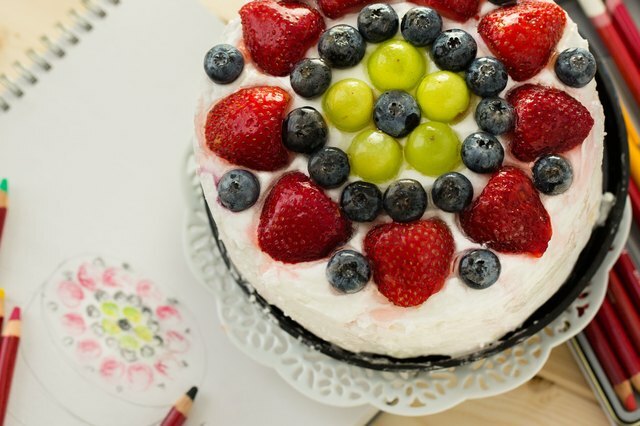 Many of those alternatives are fussy and require skills of a high order, but that isn't the case with fruit-topped cakes. 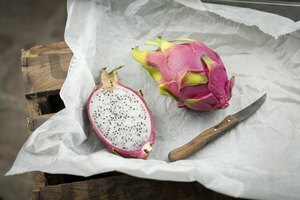 Fruit can be simple enough for everyday or elegant enough for special occasions, and you don't need to invest years in learning how to do it. 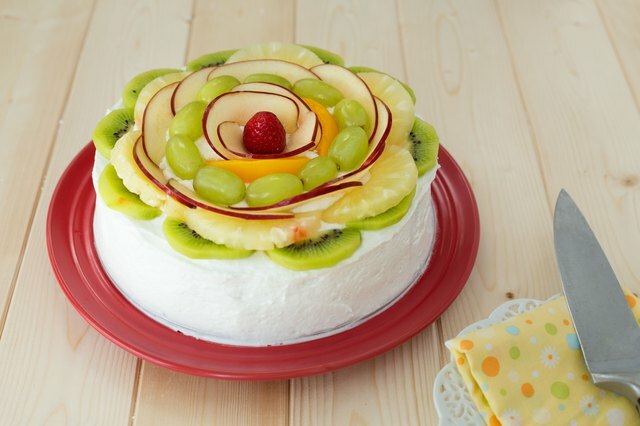 If you have a cake already made up and iced, either homemade or from a store, it takes just a few moments to give it a fresh look with fruit. Sturdy berries such as strawberries and blueberries, for their bold color and lack of cake-staining juice. 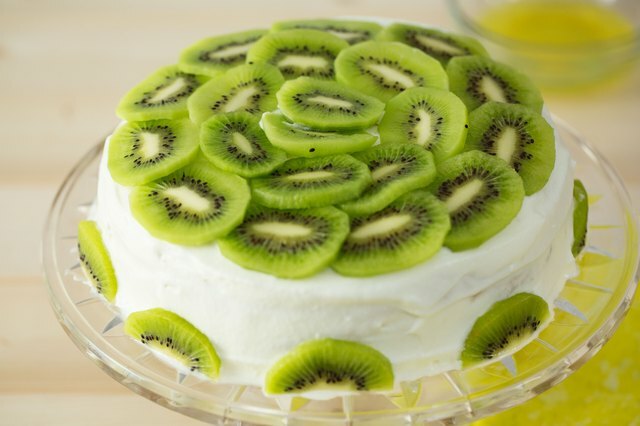 Seedless grapes are also a good choice, or slices of non-browning fruit such as kiwis that won't discolor your cake. Simply arrange them in an eye-pleasing pattern, and serve the cake immediately. When speed is less important than the overall appearance of your cake, you can broaden your palette by selecting fruits that require some preparation but reward you with bold colors and flavors. 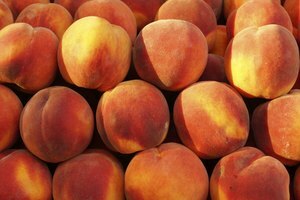 Peaches, nectarines and mango offer deep, golden yellows; plums and blood orange segments lend deep, wine-line reds; kiwi its dramatic seed-flecked green; and berries bring all the hues of the rainbow. Peel the fruit if appropriate, and dip quick-browning favorite such as peaches or bananas in diluted lemon juice to keep them looking fresh. 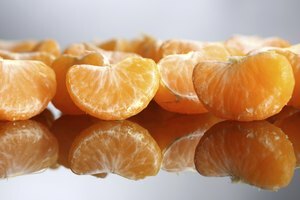 For oranges, cut away the skin with a knife and then cut individual segments from their protective membranes. Strawberries and larger fruit are usually halved or sliced, so they're bite-sized. 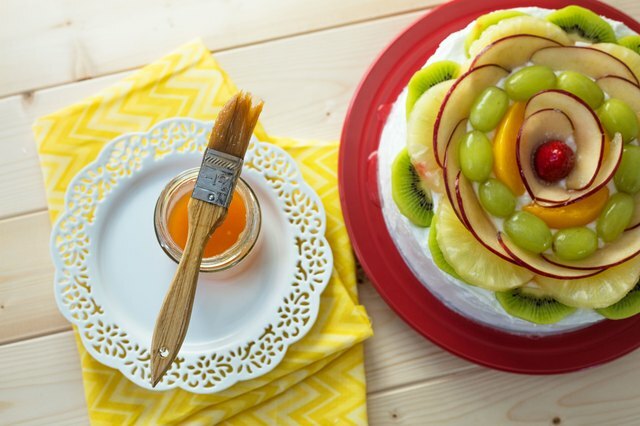 Arrange the fruit in bands or rings on your cake, or in a repeating pattern that will result in individually decorated slices when you cut the cake. 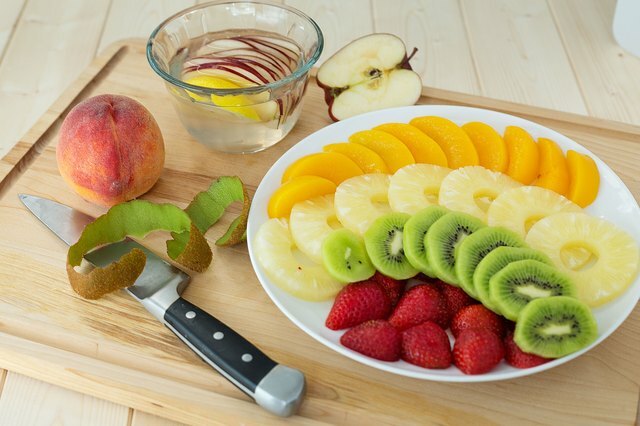 Usually it's best to place larger, easily sliced fruits first, then use small, vividly colored fruit and berries in between as visual punctuation. 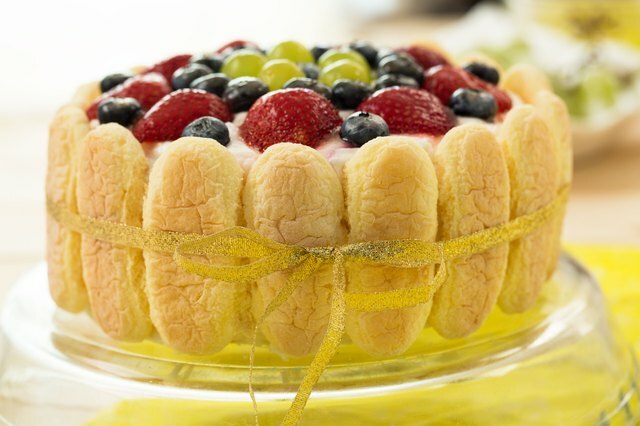 If you wish, you can arrange sliced fruit in the middle to make a sort of centerpiece for the cake. You might find it useful to sketch your design first with colored pencils, before you start putting fruit on the cake. Most frosting has a high fat content, so juice from your fruit won't soak through and make your cake soggy, but the color of some fruits and berries can leak into the icing and leave it discolored and messy-looking. To guard against this, you can heat a flavor-appropriate jam or jelly in the microwave, and then brush it over the portion of your cake that will be covered in fruit. When it cools, the jelly provides a barrier against colorful juices. Professional pastry chefs use a variety of glazes to keep their fruit garnishes glistening and fresh-looking. 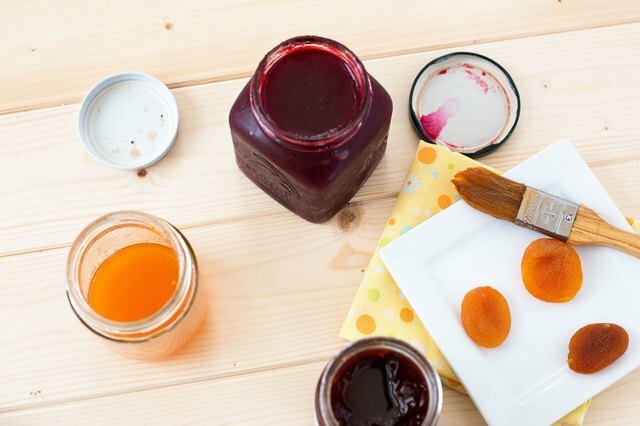 You can find neutral-flavored glazes in your supermarket's produce section, or turn again to melted jam or jelly. European pastry chefs typically use apricot jam for yellow fruits and red currant for red fruits, or you can use apple jelly if you prefer. Brushed over your fruit with a pastry brush, it keeps them pretty and helps prevent drying and slow deterioration. 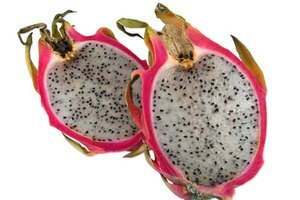 For more formal occasions, frosted fruit offers a more exotic variation on the theme. Dip each piece of fruit in beaten egg white -- use pasteurized whites or meringue powder, for food safety reasons -- and then shake or dredge it with extra-fine sugar. Once the egg whites dry, the fruit will appear to be covered in a fine frost. 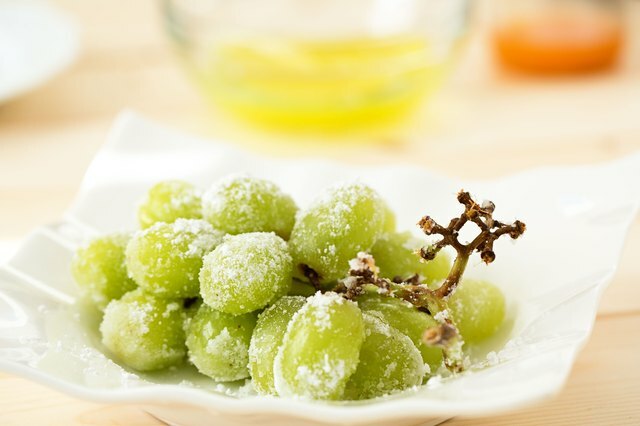 The best choices for frosted fruit are those you can leave whole, such as grapes, and berries, because their skins contain the juices that would otherwise seep out through the sugar. Their vivid colors, peeping through the frosty cover, make a striking appearance. For serious drama, frost an entire bunch of red seedless grapes and use them as a centerpiece on your cake.